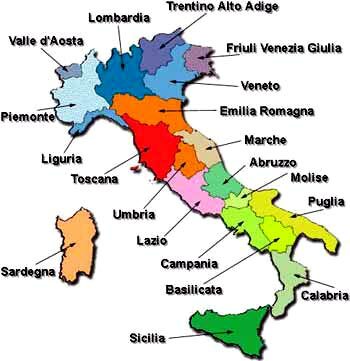 Italy is divided into 20 regions. Each has its own regional government. Regions are divided into Provinces and Provinces are divided into Municipalities. Each region has it’s specialty olive oils, food and wine. When going to a region, read up on all it has to offer and try its specialties.